Butter is your new best friend, at least when it comes to creating delicate flaky layers in a croissant or a tender brioche! Working with master baker Ciril Hitz, this class will have you investigating the applications of two different lamination techniques over the course of the day. Laminate a traditional Danish dough to create a variety of sweet products, then work with a multigrain and einkorn laminated dough to explore the savory side. With both sweet and savory options, you will have a repertoire that covers all aspects of a menu! CIRIL HITZ teaches full-time at the International Baking and Pastry Institute at Johnson & Wales University in Providence, Rhode Island. Ciril has been recognized both nationally and internationally with numerous awards and accomplishments, including Pastry Art & Design magazine’s 2007 and 2008 Top Ten Pastry Chefs in America, 2006 Gold Medal National Bread and Pastry Team Championship (USA), and 2002 Silver Medal Coupe du Monde de la Boulangerie (France). 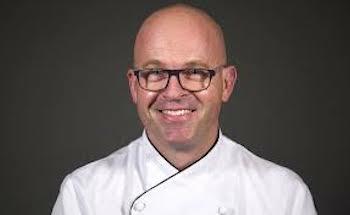 He has been a guest instructor/expert at many national and international culinary events and schools and served on the Advisory Board of the Bread Bakers Guild of America. He has been featured on the NBC Today Show, The Food Network, The Learning Channel, and Ciao Italia and his decorative bread work was exhibited in 2006 at the COPIA Museum in Napa, California. He is the author of two books, Baking Artisan Bread and Baking Artisan Pastries and Bread, as well as numerous magazine articles, and is the producer of two DVD series, Bread Art and Better Bread. More information about his work can be viewed on his website: www.breadhitz.com.